Today's "Theme" over at BlogPaws is "Best Buds"—how many of you have some non-human couplings, or even pet-to-human best friends? 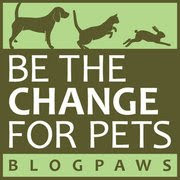 Let us and BlogPaws know! In our neck of the woods, me and you know who are close friends...and she makes a pretty good pillow, too. Ms. Bella won't let me get too far away from her...ever. 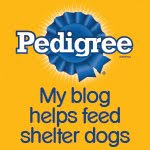 Now on to the BlogPaws Wordless Wednesday Pet Blogger Hop to meet some new blogging friends! Love it when a dog and cat are besties! How sweet you both are Bocci. Have a tremendous Thursday. Katy and Bailey are best friends. Even in this heat they are constantly found laying out together.